Antal Rogán announces the Fidesz’s support for mandatory drug-testing (photo: 444.hu) . 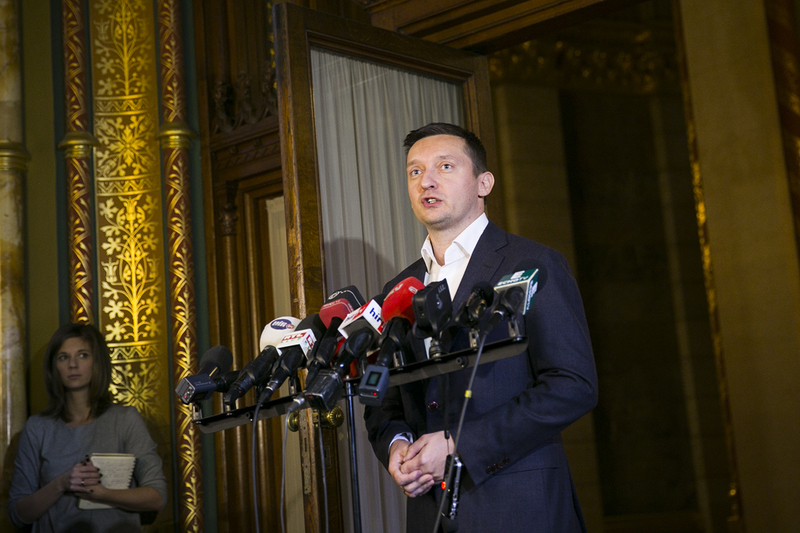 On December 8, 2014, Fidesz National Assembly caucus Chairman Antal Rogán announced that “a significant majority” of party representatives supported proposed mandatory annual drug testing for Hungarians between the ages of 12 and 18 as well as political officials and journalists (source in Hungarian). Rogán’s announcement of support for the proposed drug-testing was presumably an attempt to divert the Hungarian public’s attention from the issues and events that have dominated news headlines in Hungary since the beginning of the autumn: the entry ban that the United States imposed on allegedly corrupt officials from Hungary’s National Tax and Customs Office; the luxurious lifestyles of officials in Prime Minister Viktor Orbán’s inner circle; highly unpopular legislative initiatives; an unprecedented series of anti-government demonstrations; and disunity within the previously rock-solid Orbán administration, particularly between Fidesz and its allied Christian Democratic People’s Party (KDNP). 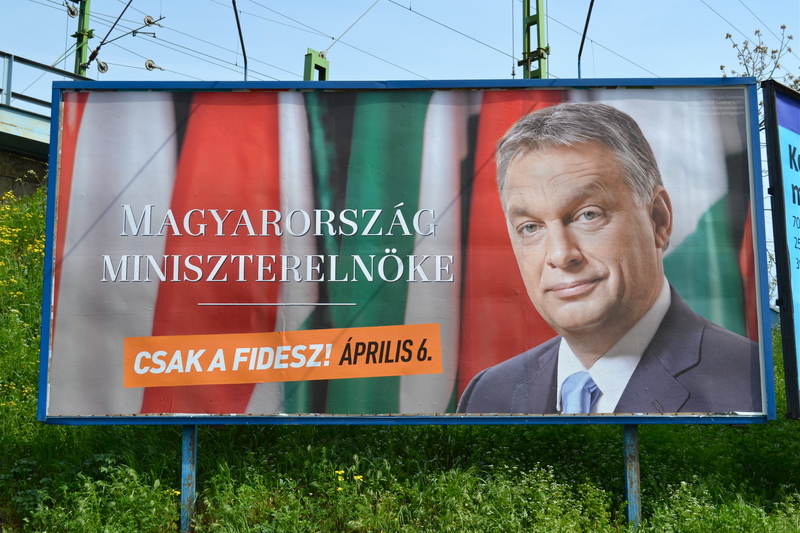 The opposition media has pointed out that Fidesz sustained an unprecedented loss in popularity in November, exceeding even that of the Hungarian Socialist Party immediately following the leak of former Prime Minister Ferenc Gyurcsány’s infamous “We fucked up” speech in September 2006 (source in Hungarian). Banned from entering the United States: National Tax and Customs Office President Ildikó Vida (photo: MTI). 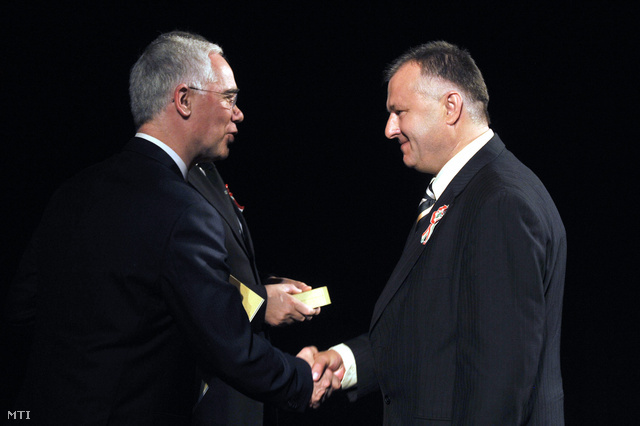 On October 16, the pro-government business daily Napi Gazdaság reported that the U.S. State Department had prohibited unnamed officials from Hungary’s National Tax and Customs Office (NAV) from entering the United States based on former President George W. Bush’s Proclamation 7750 of January 12, 2004 suspending entry “of persons engaged in or benefiting from corruption” that “has or had serious adverse effects on the national interests of the United States” (source A in Hungarian and B in English). The corruption in question allegedly involved attempts to persuade the Hungarian subsidiary of U.S. agribusiness company Bunge to finance an unnamed pro-government foundation in exchange for NAV’s tacit permission for the company to engage in Value Added Tax fraud (source in Hungarian). The chargé d’affaires at the U.S. embassy in Budapest, André Goodfriend, declined to identify the NAV officials prohibited from entering the United States, though said that the embassy had sent them letters informing them of the ban (source in Hungarian). In a November 5 interview in the pro-government daily Magyar Nemzet, NAV President Ildikó Vida admitted that she was among the tax-office officials subjected to the U.S. travel ban (source in Hungarian). 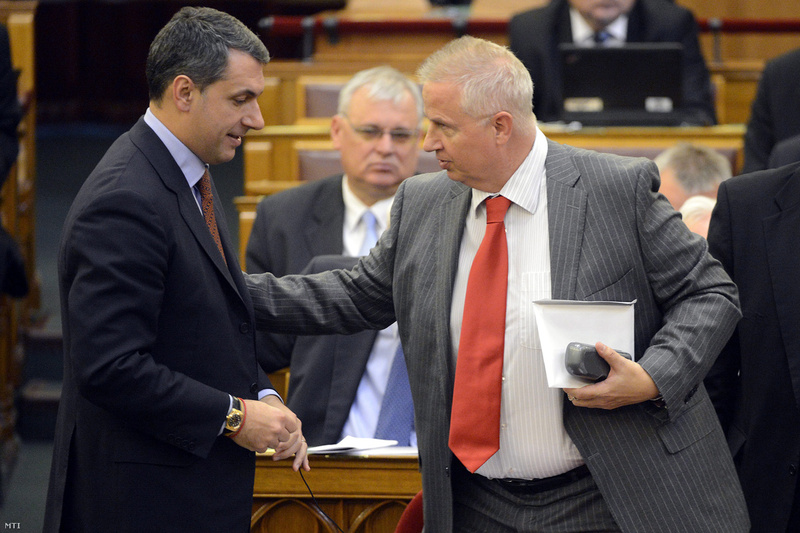 János Lázár (left) wearing his Rolex Bubbleback at the Hungarian Parliament Building. Most Hungarians regard wealth as evidence of greed, immorality and treasonous cooperation with external powers (see Kuruc vs. Labanc) and feel particular hostility toward political leaders who appear to have used their position to obtain personal fortune. Since the beginning of the fall, the affluence and lavish lifestyles of the following four members of Prime Minister Orbán’s inner circle have been the focus of media attention: Minister in Charge of the Prime Ministry János Lázár; Minister of External Economy and Foreign Affairs Péter Szijjártó; Prime Ministry State Secretary in Charge of Government Communication András Giró-Szász; and Fidesz Vice President Lajos Kósa. On December 2, the opposition television station RTL Klub reported that in April Lázár had purchased a house in Budapest under the name of his ten-year-old son at a cost of between 60 million and 70 million forints, or 260 and 300 times the average monthly salary in Hungary of just under 230,000 forints (source in Hungarian). On November 10, the tabloid Blikk reported that Lázár had cancelled a 75,000-euro, or 23-million-forint, pheasant-hunting trip to the Czech Republic scheduled to take place earlier in the month (source A and B in Hungarian). On November 25, the opposition website index.hu reported that the Rolex Bubbleback watch that Lázár was seen wearing during a plenary session of the National Assembly the previous month was worth an estimated 1 million forints (source in Hungarian). On September 24, RTL Klub reported that Szijjártó had purchased a house in the Budapest suburb of Dunakeszi at a cost of 167 million forints, about 725 times the average monthly salary in Hungary (see Feeling No Shame). 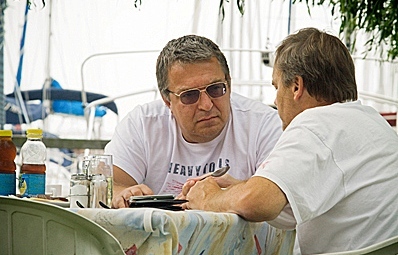 On November 24, index.hu reported that Giró-Szász had recently sold his stake in a media consultancy for 750 million forints (or about 3,265 times the average monthly salary in Hungary) and, according to his newly released asset statement, has 140 million forints in his bank account and owns a yacht worth 25 to 30 million forints (source in Hungarian). On November 25, index.hu reported that Giró-Szász would be the minority owner of a 3-billion-forint hotel being built in the center of Budapest (source in Hungarian). On October 7, RTL Klub reported that Kósa’s wife had purchased a home worth an estimated 100 million forints, or about 435 times the average monthly salary in Hungary, in the Óbuda district of Budapest (source in Hungarian). On November 22, index.hu reported that Kósa and three travel companions had spent an estimated 1 million forints each on a four-day trip to New Zealand primarily in order to attend a Rolling Stones concert in Auckland (source in Hungarian). On October 21, the National Economy Ministry revealed that the government was planning to introduce a 150-forint-per-gigabyte tax on Internet usage (source in Hungarian). Though the proposal stipulated that the tax would be levied on service providers, most Hungarians expected them to build the cost of the tax into customer fees. 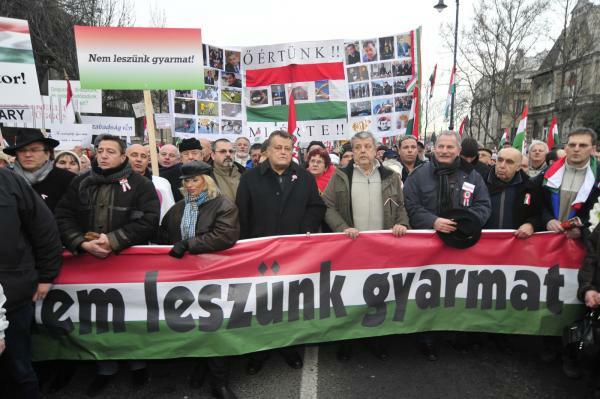 Prime Minister Orbán revoked the proposed tax following massive demonstrations against it in Budapest, though said his government would revive the proposal in early 2015 (source in Hungarian). On November 6, Christian Democratic People’s Party National Assembly caucus Chairman Péter Harrach announced that the Orbán government would support the party’s proposed mandatory Sunday closing of shops in Hungary (source in Hungarian). A total of 58 percent of those Hungarians surveyed in a Medián poll conducted in 2007 said that they opposed possible legislation stipulating the mandatory closure of shops on Sunday (source in Hungarian). 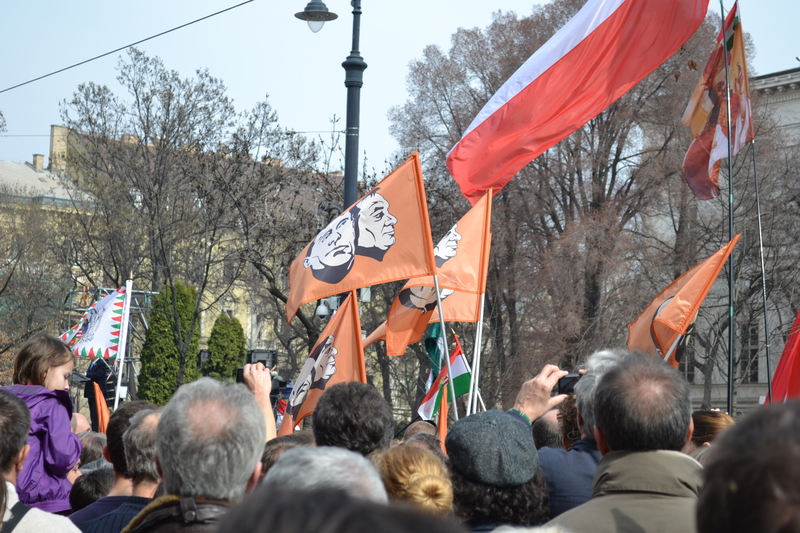 Orange Files doubts based in empirical evidence that more Hungarians currently support such legislation, which the National Assembly approved on December 16. Demonstrators cross the Elisabeth Bridge in Budapest during October 28 protest against the proposed Internet tax (photo: Orange Files). Several tens of thousands of people took part in demonstrations held in Budapest on October 26 and October 28 to protest the proposed Internet tax (source A and B). 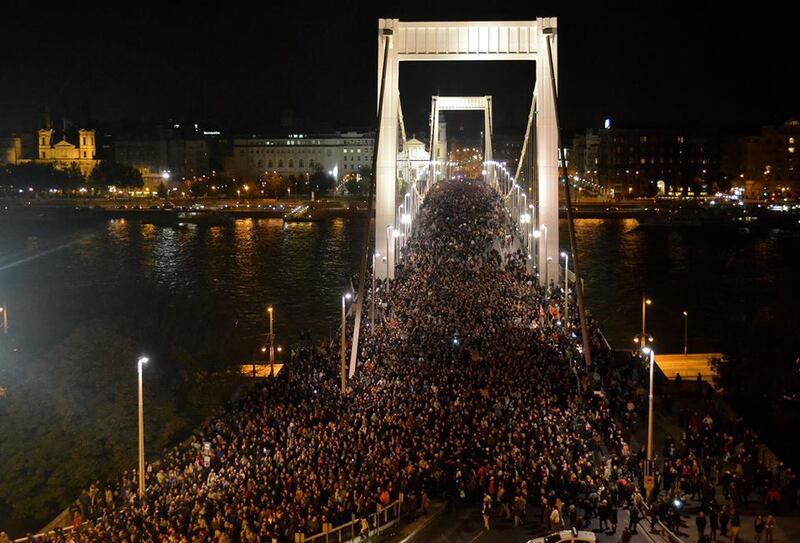 With an estimated 30,000–40,000 participants, the October 28 demonstration was likely the largest ever against an Orbán-government measure (source in Hungarian). 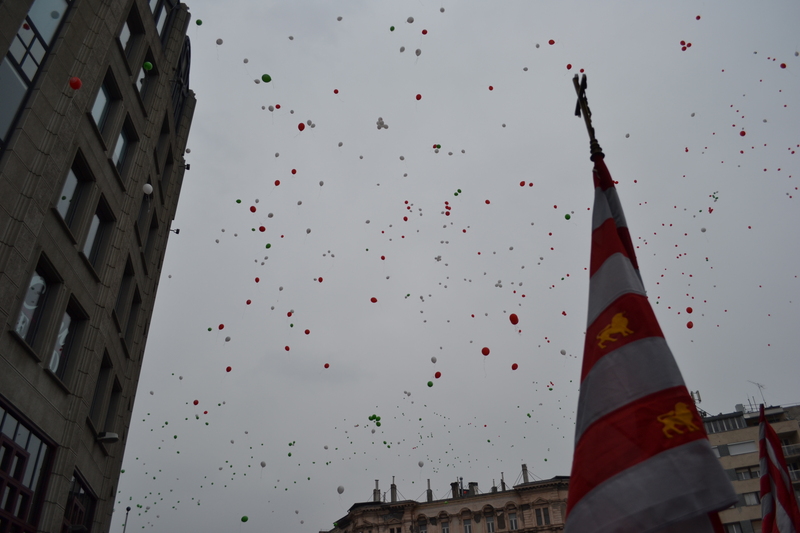 Several smaller demonstrations took place in Budapest over the subsequent weeks to protest the proposed internet tax and government corruption in connection to the U.S. travel ban (source A, B and C in Hungarian). These culminated in the November 17 “Day of Public Outrage” (Közfelháborodás Napja) demonstration ending with a long standoff between protesters and riot cops in front of the Hungarian Parliament Building that was reminiscent of those that occurred regularly during the wave of anti-government demonstrations that took place in Hungary in 2006 and 2007 (source in Hungarian). 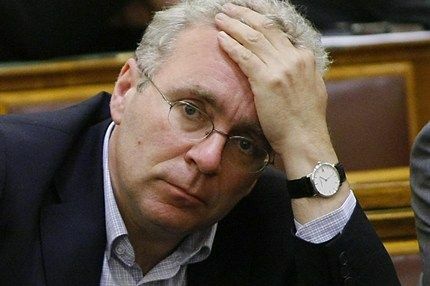 —and finally, on December 8, National Assembly Justice Affairs Committee Chairman György Rubovszky of the KDNP told the opposition newspaper Népszabadság that the he was against the proposed mandatory drug-testing legislation, which he said “bleeds from a thousand wounds” (source in Hungarian). 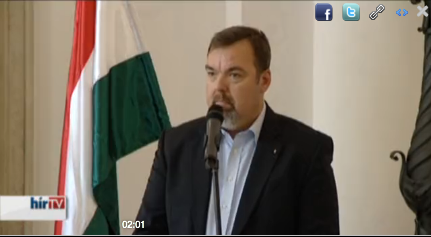 Not a Bubbleback: Fidesz National Assembly caucus Deputy Chairman Zoltán Pokorni. These bigger and smaller affairs—who wears what kind of watch, who goes where to relax or on summer vacation or whose house is how big—these were obviously known over the past years, but they didn’t interest anybody. They were not connected to charges of corruption. However, since the United Stats entry ban, these many small facts that were previously thought to be minor annoyances have now become rearranged into such a cross-section. The United States struck a chink in our armor, just a small hole, though it is through this hole that the water flows. And we must stop this water. There can’t be such living like a lord, that is, it shouldn’t be done, because a responsible government member or leading political official cannot permit himself to engage in the kind of lordly conduct that he could perhaps get by with before. 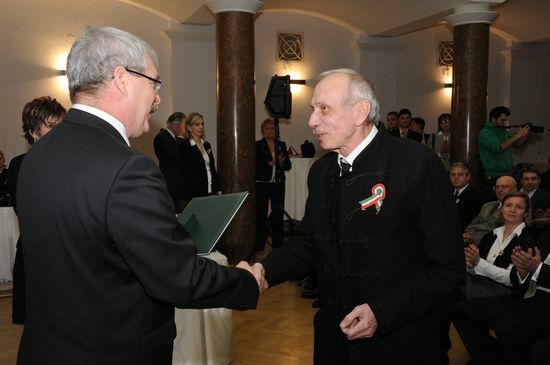 Fidesz Rural Development Minister Sándor Fazekas presents Péter Szentmihályi Szabó with a Hungarian Order of Merit state award for his literary and journalistic achievement on March 14, 2013. 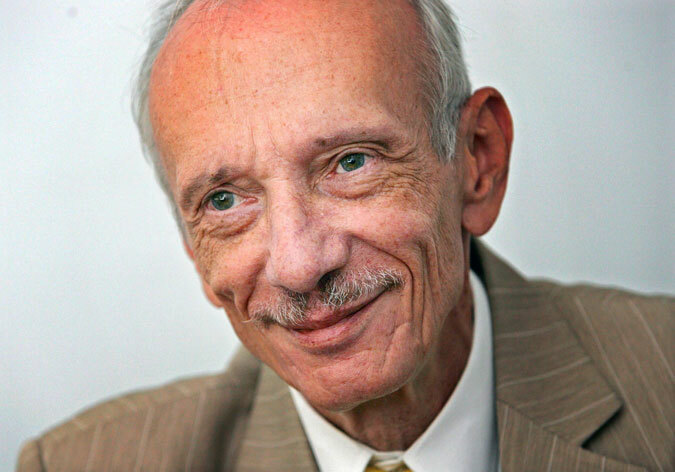 On July 20, 2014, news emerged that the Ministry of External Economy and Foreign Affairs had nominated the well-known pro-government author, poet, translator and editorialist Péter Szentmihályi Szabó to serve as Hungary’s new ambassador to Italy (source in Hungarian). Szentmihályi Szabó has published several science-fiction and historical novels as well as volumes of poetry and translated Aldous Huxley’s Brave New World into Hungarian, though he is best known for the regular column he writes in the pro-Orbán newspaper Magyar Hírlap in which he castigates the domestic opposition, liberalism, capitalism, the West and the European Union in the vitriolic, name-calling vernacular of Fidesz-friendly journalists (see previous post In Defense of Illiberal Democracy). The political opposition immediately protested: not only did Szentmihályi Szabó lack previous diplomatic experience and speak no Italian, but he had voiced explicitly anti-Semitic and anti-Gypsy viewpoints on several occasions, particularly during the years in which he was a regular contributor to Magyar Fórum, the weekly newspaper of the radical-nationalist Hungarian Party of Justice and Life, or MIÉP (source in Hungarian). 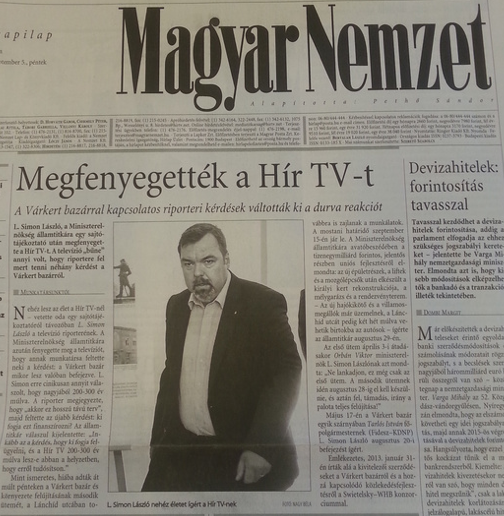 In a December 2000 article in the Magyar Fórum, for example, Szentmihályi Szabó referred to Jews as “pharisees, hypocrites, agents of Satan” (source in Hungarian). Writing in the same newspaper in September 2002, Szentmihály Szabó declared “We will leave our Hungarian homeland to the Roma, the Romanian, the Austrian, the Jew, the Serb, German and the Slovak, let them fix what they messed up so bad” (source in Hungarian). Szentmihályi Szabó in fact, ran unsuccessfully for the National Assembly as a representative of the Hungarian Party of Justice and Life in 2002 before gradually drifting between the similarly radical-nationalist Jobbik party and Christian-nationalist Fidesz following MIÉP’s collapse after 2006. 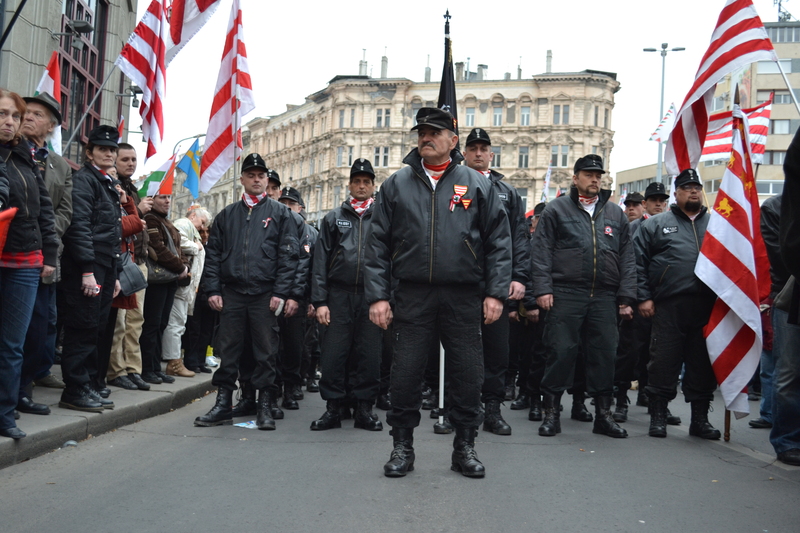 On October 21, 2007, Szentmihályi Szabó recited a poem in honor of the Jobbik-sponsored Hungarian Guard at the radical-nationalist paramilitary organization’s initiation ceremony on Heroes’ Square in Budapest (source in Hungarian). my happiness, my pure love? Our happiness, our pure love. The basket of plenty! The table of law! Weigh yourself against the universe! question marks fall upon us. I know, it is not urgent. Where do you tarry, communism? the state does not want to wither. Communism, grow my little child. On July 23, the New York-based Anti-Defamation League (ADL) wrote a letter to Foreign Minister Federica Mogherini and President Giorgio Napolitano of Italy asking them not to accept the credentials of the “known anti-Semite” Szentmihályi Szabó (source in English). In a July 25 opinion piece entitled “Intolerance and Anti-Semitism. The Ancient Poison of Prejudice” in the liberal Milan-based daily Corriere della Sera, the newspaper’s former deputy editor Pierluigi Battista asked the Italian government to seriously consider the ADL’s request to reject Szentmihályi Szabó’s appointment as Hungary’s ambassador to Italy (source in Italian). Péter Szentmihályi Szabó today informed the leadership of the Ministry of External Economy and Foreign Affairs that he does not want to fill any ambassadorial position of any kind and from his perspective regards the issue to be closed. In a July 26 interview with Corriere della Sera, Szentmihályi Szabó said that “The reason I stood aside was because I did not want to disturb relations between Italy and Hungary.” Szentmihályi Szabó claimed in the interview “I don’t regard myself to be an anti-Semite. All racist and xenophobic sentiments stand very distant from me. If you want to know my opinion, the contention was not directed at me, but against the Hungarian government and Prime Minister Viktor Orbán” (source in Hungarian). The Orbán reelection campaign has been based on the principle that the key to effective political communication is to keep the message simple. (Csak a Fidesz!) (source in Hungarian). Big victory, big future; small victory, small future. (Nagy győzelem nagy jövő, kis győzelem kis jövő.) (source in Hungarian). Carnival ball (farsangi bál) at the community cultural house in one of the old Swabian towns on the outskirts of Budapest. A couple of hundred people, most of them 60 and older, sitting at long tables before a dinner of red cabbage and fried meat dumplings. Everybody is dressed up, almost all the men wear suits and ties. They watch a trio perform a variety of music in the shadowy hall, from German oompha to Hungarian and American pop hits from the 60s and 70s. They watch young people perform a waltz. The performers then select partners from among the spectators. 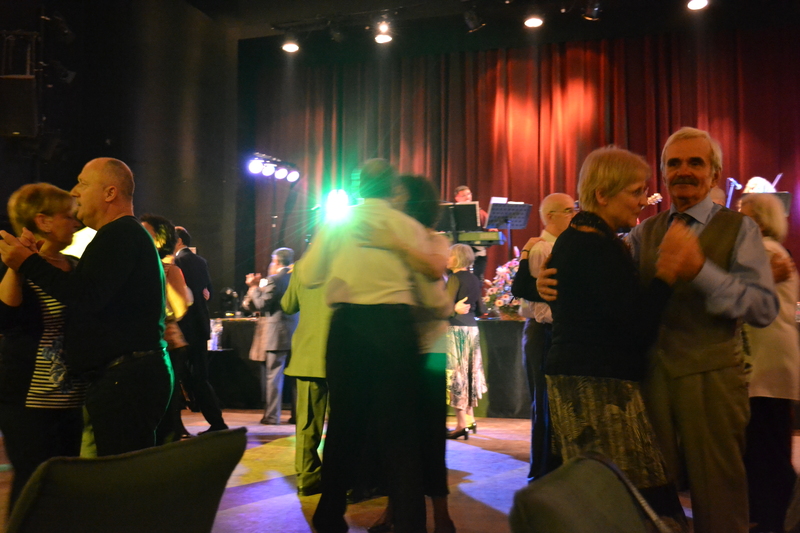 Instantly other couples join and the floor is full of shining bald heads and white hair turning to the music. All heads are turned in the same direction, listening intently to the town father. Conservative folk, many of them of German descent. Disciplined, practical, hard-working people, they are cultured to an equal or greater degree than their equivalents in the West, though are more linguistically isolated and less able to understand the greater world around them. Members of a small and vulnerable nation seeking community with those of the same language and background, looking for unaffected pre-System Change companionship in a crass post-System Change world. Rock-solid Orbán supporters, they will follow him through thick and thin as he turns Hungary back toward the East, as he wages populist battle against the European Union, as he dismantles the country’s democracy and takes control over their sources of information in order to create a highly centralized, semi-authoritarian state. It is a state in which they feel comfortable: secure under a strong leader fighting in the interest of the Hungarian nation against foreign predators and their domestic accomplices, one who has defended them against the manipulations and exploitation of the free-market and ensured their basic subsistence through cuts in the cost of household gas, electricity, heating and water. Friendly people. Generous people. Benevolent people, though inherently suspicious of the motives of outsiders. 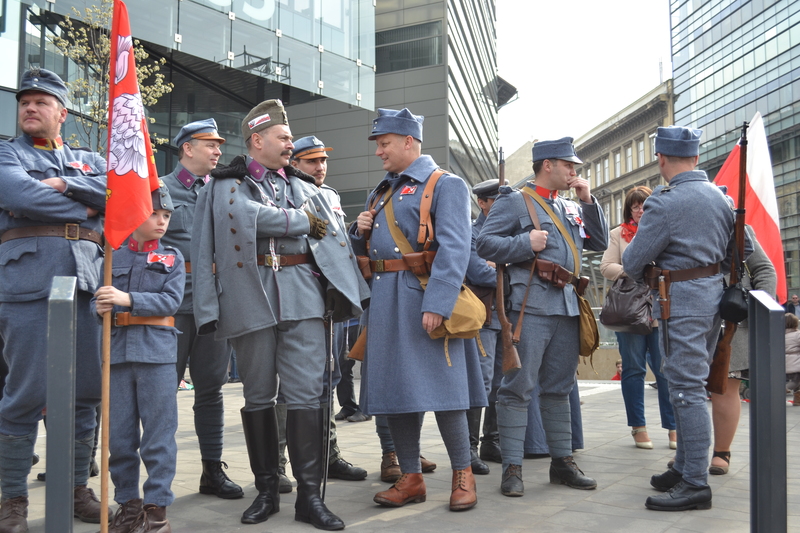 This demographic—nominally anti-communist, though nevertheless uniformly nostalgic for the monolithic simplicity and unfailing continuity of the Hungarian Socialist Workers’ Party dictatorship—has abandoned the affinity it once felt for the ideals of western liberal democracy. As one of the most powerful constituencies in an aging population, it will provide the Orbán administration with a steady base of support well into the 2020s.